Join us for a lot of laughs, entertainment, and some FUNdraising…. Our first annual Spring Meltdown 5k was a big success at Freshkills Park. We managed to raise over $10,000 in funds due in large part to our many sponsors, as well as 100+ runners and walkers that attended the event. We would like to thank the Parks Department, as well as the SIAC for all their help in coordinating this event. Mid-Island Rotary has made available 125 limited raffle tickets ($12,500 pot to be split!). Each 50/50 Pot of Gold Raffle Ticket costs $100. The drawing will be held at Mid Island Rotary club in-person meeting, which is scheduled for the first week in June 2015. Proceeds to benefit the various local charities that we have supported over the years. Interested in a ticket?? 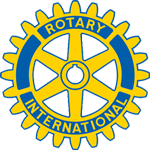 Reach out to your friendly Rotarian! Please join Mid-Island Rotary as they work with the Cystic Fibrosis Foundation to raise money for a cure! Thursday, November 20th at 6:30pm, 2014 at Hillside Swim Club. Buy-In $125, includes 2500 chips. Early registration before November 13th and receive 500 bonus chips! Food and beverage will be served!!! If you do not want to play, come eat and drink! See our flyer under the downloads section for more details. Our Raffle calendar is complete!! Below is the full list of winners for the year 2014. Thank you for participating!! John DeAmicis is always willing to go the extra mile when it comes to raising funds for charity. He is about to take it one step further....shaving off his signature flowing mane! All proceeds raised to be used directly to purchase sheetrock and building supplies for individuals in the Midland Beach area of Staten Island who were displaced by hurricane sandy. You do not have to attend the event. However, this is where the haircut will be taking place...for all those that will miss it, no worries, I will be posting a video and pictures! Biggest donation will get first buzz!! This is not an auction bid, if you say your donating $500, and someone else donates $550, you are still expected to donate $500, unless you want to up your donation to something greater. The raffle for 2013 has finished, check out the winners below. Thank you again for another successful calendar raffle!!!! Please help the five Rotary clubs of Staten Island to bring relief to Hurricane Sandy victims on Staten Island, NY. We are bringing food, supplies and help to families that need it. You can volunteer, contribute or get involved in any way you can. Please contact us for more information: 212-904-0020 or Contact Us. The Staten Island Advance covered our annual Turkey Basket delivery that took place on November 17th. We are having our annual Culinary Delights event at the Staaten on June 7th at 7:00pm. Last year's event was a big success! Congratulations to Anthony Tanzi on being our grand prize winner! Anthony takes home $2000 and Scott Bolio wins $800 with second place. Mid-Island Rotary's history of service to the community and Staten Island. The 2012 raffle calendar drawing has commenced! Raffle winners are posted under the "downloads" section under "raffle winners" on the left side of the page. It is still very early into the drawings so increase your probability of winning by buying more raffles!! 3 Grand Prizes! !